Meditation has been around for hundreds if not thousands of years and it has many different cultural contexts, some of which transcend the boundaries of any one specific culture. According to Eastern philosophy, to meditate means to think on the eternal, or rather to expand your consciousness until you are at one with the universe as a whole. This philosophy is based on the belief that transcendental emotions like grief, euphoria or even love can fade away, but the universe is forever. Even if you’re not interested in the metaphysical implications of meditation it has undeniable health benefits. It incorporates many relaxation techniques that can help you erase the negative feelings that come with the stress of leading a hectic lifestyle. Learning to meditate can have positive effects on stress-induced illnesses like heart disease and high blood pressure. In conjunction with traditional approaches to medicine, meditation can target the root causes behind stress-based conditions by helping you to calm and clear your mind. Which is exactly what the brand new guide teaches and makes plain in everyday language...easy enough for a child to understand! The many benefits of meditation and some of the best reasons why you should embrace the meditation lifestyle. The different types of meditation and how you can use them to unlock your hidden potential. 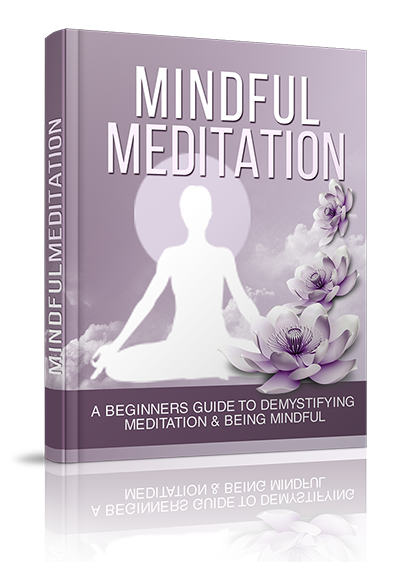 How to use simple meditation exercises for relaxation, stress relief and more! Some simple, yet effective ways to cultivate a positive mindset through meditation.